The fairy tale wedding united Priyanka Chopra and Nick Jonas last year in December. 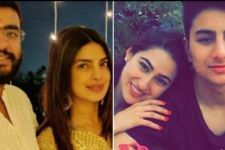 The B-town actress got hitched to the American singer on December 1 and 2, first at a Christian wedding and then at a Hindu wedding. 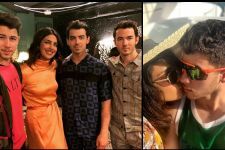 Later, Priyanka-Nick hosted their wedding reception in Delhi, which was attended by the Prime Minister of India, Narendra Modi and later one in Mumbai, which was attended by several Bollywood celebrities. With the fairy tale wedding done and dusted, there are some unknown facts about their relationship! But, Nick has finally disclosed where PeeCee met Nick for the first time! 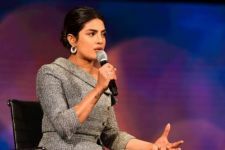 During a recent media interaction, Priyanka and Nick were made to play the newly-wed game, in which they had to ask each other personal questions and see if the other one could answer correctly. One of the questions that PeeCee asked Nick was about their first meeting. The diva asked Nick if he remembered where they met for the first time and the singer instantly replied - 'The Oscars after party'. Priyanka also asked Nick if he remembered what she was wearing on their first date together and Nick, the doting husband that he is, didn't hesitate for a second and replied: "Blue jeans, white tank top, a black leather jacket, hair parted from the middle and a red lip of course!" Adding to it, the husband and wife also spoke where they had their first kiss. 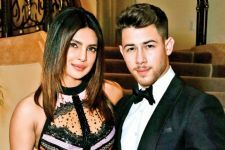 It was on the balcony of The Peninsula, in Beverly Hills, California - a fancy 5-star hotel, where Priyanka Chopra was staying at the time. Kartik Aaryan's NEVER-SEEN-BEFORE Avatar for Pati, Patni Aur Woh!